Lookin' in Brooklyn Tour - Information Desk! Brooklyn is fast becoming the hip place to be in New York. Williamsburg has taken over the Village as the hipster capital of the United States and Brooklyn's low rents are starting to pull more of the young and ambitious out of Manhattan. 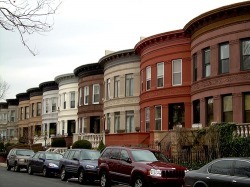 Your guide will show you some of historic Brooklyn as well as some of the hipper, trendier areas.